Hours: Mon. – Fri. 11:00AM – 9:30 PM, Sat. till 10:00PM, Closed Sunday. 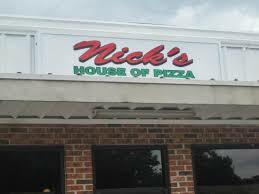 Serving great pizza with fresh made crust and Italian and Greek dishes to the West Columbia area. They are know for their quality pizza with great fresh ingredient. I you are looking for freshly prepared Italian dishes, this is you spot. Stromboli and calzones, lasagna, Eggplant Parmigiana, Manicotti, are just a few of the dishes they offer. Greek dishes such as Gyro Dinner, Souvlaki Mixed Platter, Greek Chicken over Rice are among the popular dishes that keep bring the customers back. Looking for for a sub sandwich, hot or cold, they have a several great choices to choose from. I stopped twice in July 2016, while making a trip trough the area. Had a 3 topping 16 inch and a small cheese, great job! Oh! by the way I shared with my brother and nephew!